The dean of Harvard Business School has issued a blanket apology to its female students and teachers, past and present. Dean Nitin Nohria told those attending an event celebrating the 50 years its been since women were allowed to attend Harvard Business School Monday that he knew that female students at Harvard have felt "disrespected, left out, and unloved by the school" at times. "I'm sorry on behalf of the business school," he told the audience. "The school owed you better, and I promise it will be better." "We are taking many steps to ensure that W50 is not [just] an event," Nohria said, explaining that the school plans to double the number of women used as protagonists in case studies at Harvard, from 9% to 20%. Case studies are what students use to learn at business school; they're written by professors but involve real-world situations at real companies. 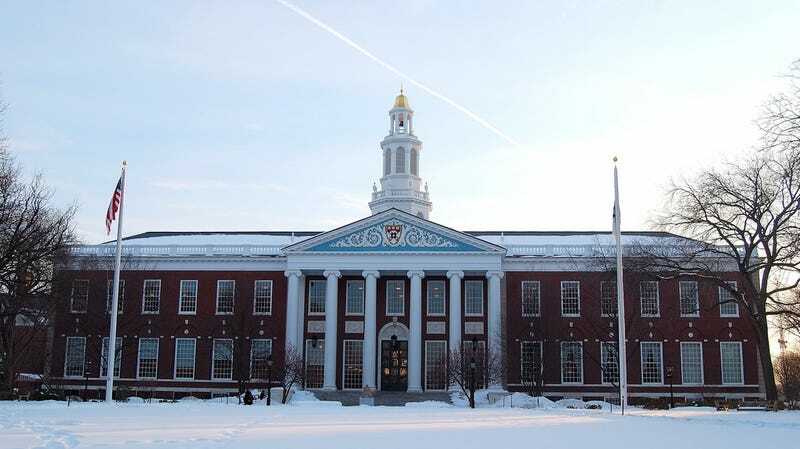 According to Fortune, Harvard's make up 80% of those used at schools around the world, which means that the way students are taught about business doesn't just affect the way HBS graduates view the business world, but the way the majority of business graduates view it. Alums told reporter John A. Byrne that Jodi Kantor's article on discrimination at HBS published last year pushed the school to be more aggressive in addressing this problem through actual tangible changes. HBS has also put together a book highlighting notable women who have attended the school who were celebrated at the event. In the book, alums discuss their personal and professional accomplishments and struggles; many mention how they've coped with their own work-life balance. Because of everything previous generations of HBS grads have gone through, HBS would like to make it known that these women were the original leaner-inners: "In their own way, each 'leaned in' long before the idea became a phrase adorning a bestseller," which just happens to be exactly what Byrne wrote about the women in his first article on the event before it occurred.